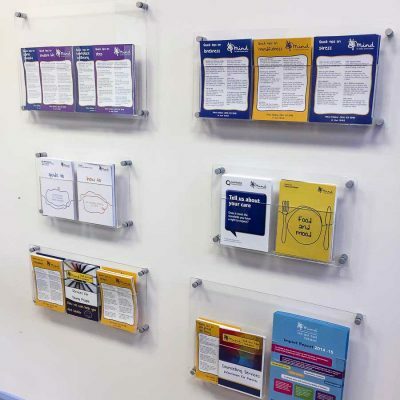 Our range of wall mounted leaflet holders are ideal for displaying literature in corporate offices, reception areas, showrooms, events spaces and foyers. 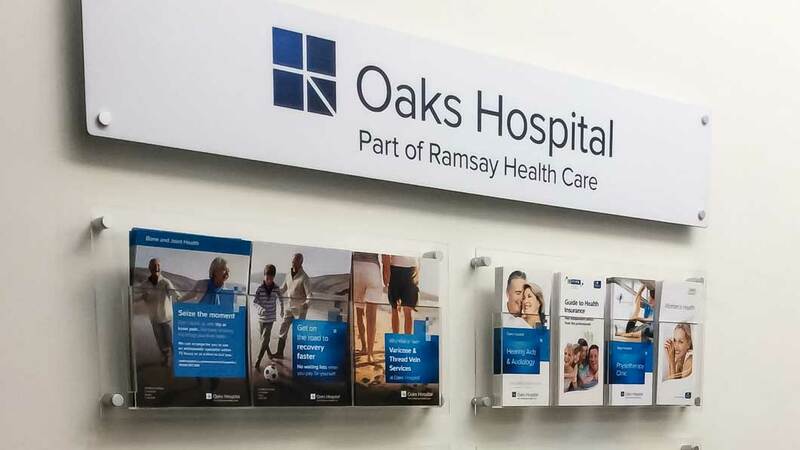 Choose the model of leaflet holder that best suits the size and amount of literature you want displayed.Designed for displaying flyers, catalogues, brochures and all types of promotional literature. All wall mounted leaflet holders are supplied with satin finish aluminium stand off wall fixings. 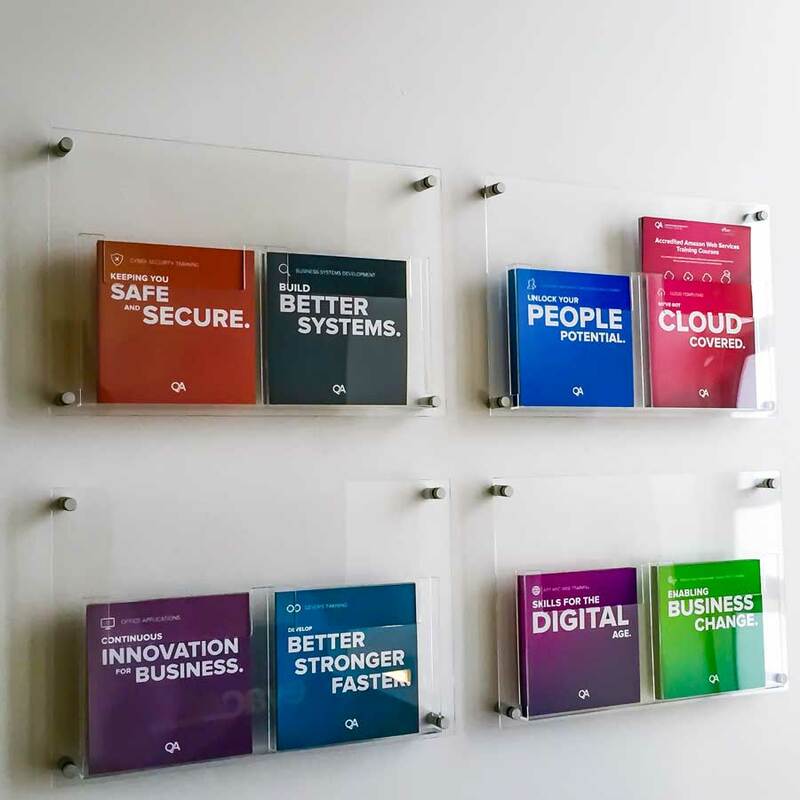 Our displays are a stylish and practical way to display company literature on your walls. Matches our D3 Brochure Displays for a consistent look with our floor standing displays. A4, A5 & DL holders are available in both widths. A6 leaflet holders are available in the smaller 415mm size only. 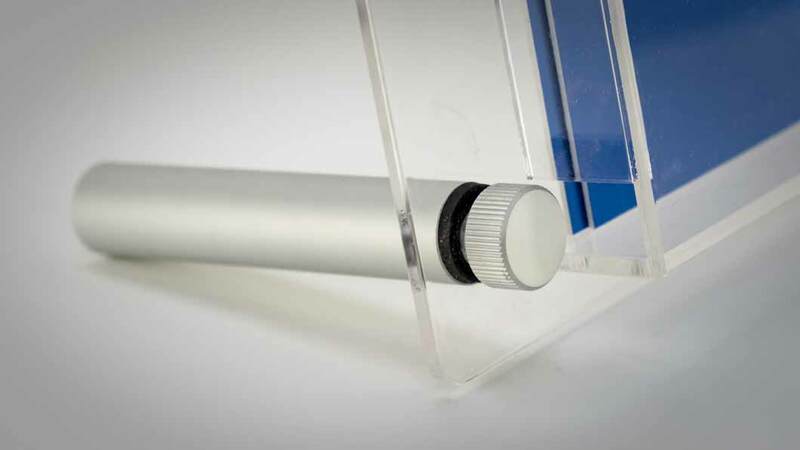 Clear leaflet dispensers are made from 3mm high impact clear acrylic. 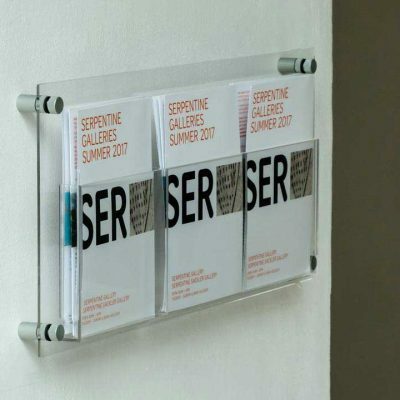 Perspex brochure holders have 20mm deep pockets. 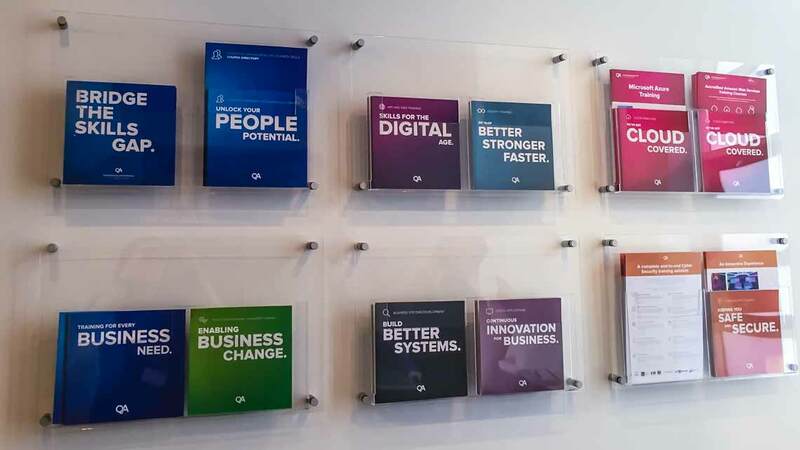 Leaflets float on the wall with nothing to obscure the brochure graphics. Fixed to the wall with our easy to install aluminium standoff fixing. Clear 3mm perspex acrylic where the leaflet pockets are glued together. High capacity metal wirework holders are hooked into either clear acrylic or aluminium composite panels. 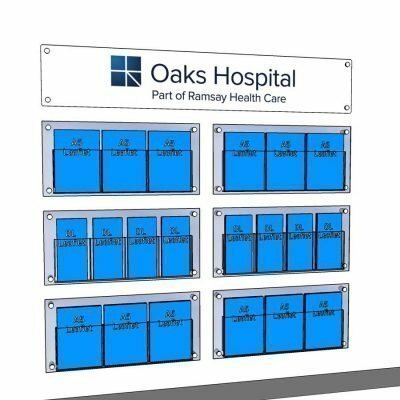 All models are available as wall fixed displays, some are available as table top displays. One width of display – 540mm – is available for each standard leaflet sizes – A4, A5 & DL. High capacity leaflet holders are made by hooking the wire holders through holes in the panel. Two material options for the back panel, 3mm clear acrylic, or 3mm aluminium. Aluminium models can be supplied in either white or silver. Wirework holders are made from 4mm metal wire which is silver powder coated. Displays are wall fixed with our standoff aluminium fixing. The wirework leaflet holders are 40mm deep which offers offer a larger capacity than our glued acrylic. We use the same wire holders on our custom display stands if you want floor standing displays. Delivery lead time is 2 – 3 days on the aluminium models. 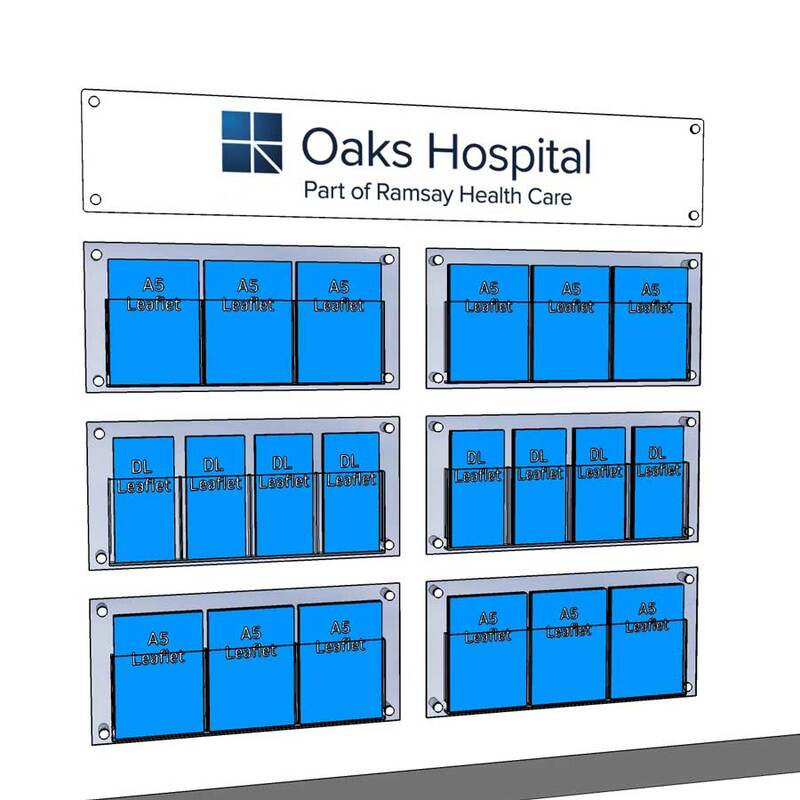 We can brand your displays by adding graphics to individual units. 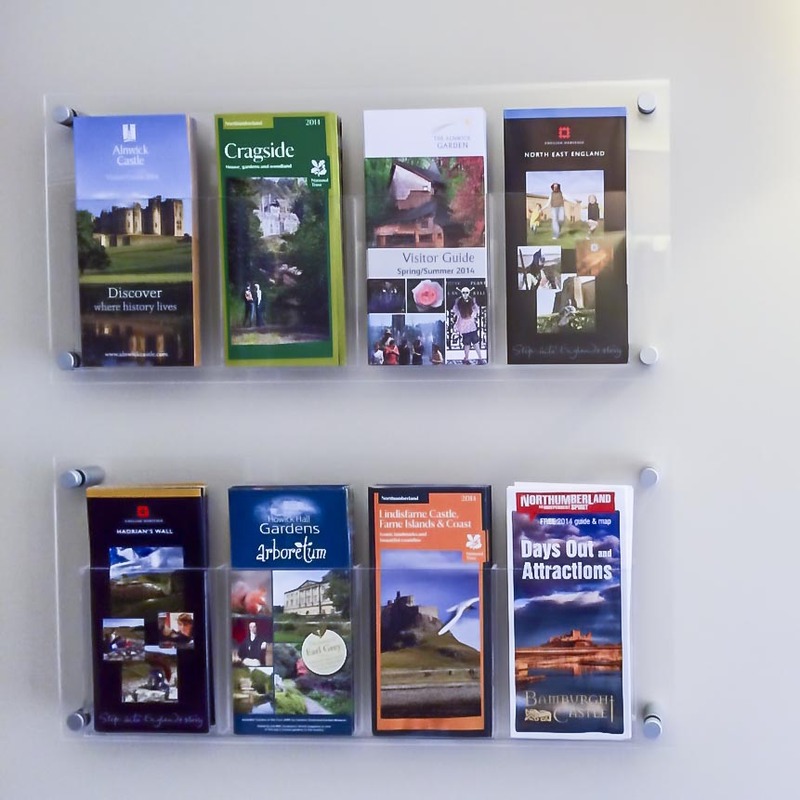 Larger graphic panels can also be added to groups of wall mounted leaflet holders. Free of charge visualisation service showing how larger groups can be installed. Give us a call to discuss your project and then email us your logo. We can then work out the best solution for you and send an image for approval. The clear acrylic models can also be used as desktop leaflet holders. Display company brochures on large exhibition stands, in marketing suites or reception areas. 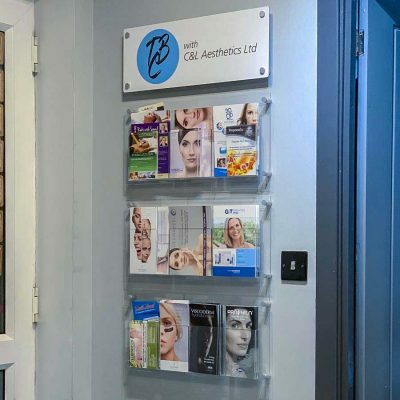 We supply the NHS, dentists and other medical and educational organisations. Used in waiting rooms and doctors surgeries around the UK. 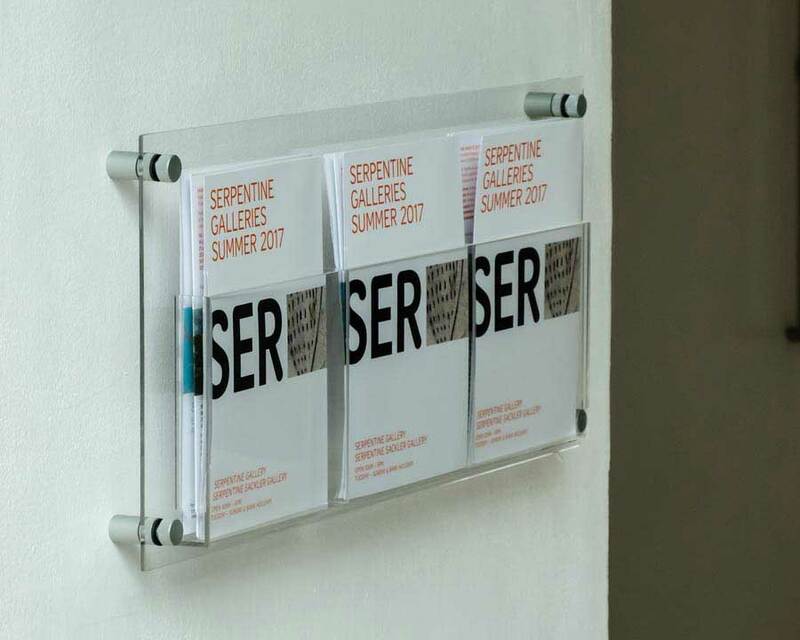 Leaflet holders are usually in stock from our London warehouse. Most orders can be dispatched for next day delivery. Q. 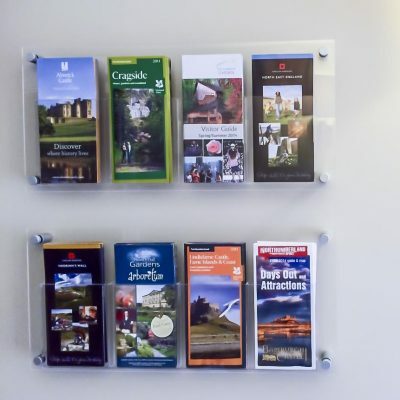 How quickly can wall mounted leaflet holders be fitted? Allow 10 – 15 minutes for installation. Q. Do you offer discounts if we multiple units? Yes, we do offer 5% – 12.5% discounts depending on quantity required. Visit the product page and scroll down to see the quantity discounts. If you need a lot of units please email us and we’ll supply you with a quote.gust of wind could blow the display over and damage your banner. Q. What tools will I need to install the acrylic brochure holders? Q. 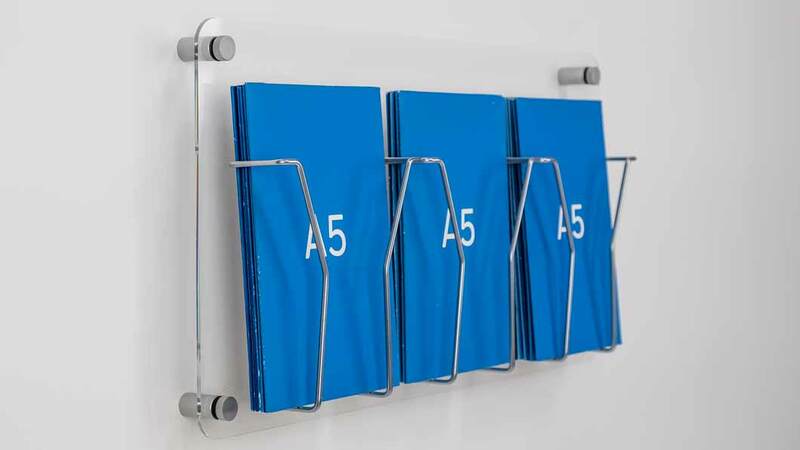 Do you stock any other sizes of Leaflet Holders other than A4, A5, A6 and DL? Q. 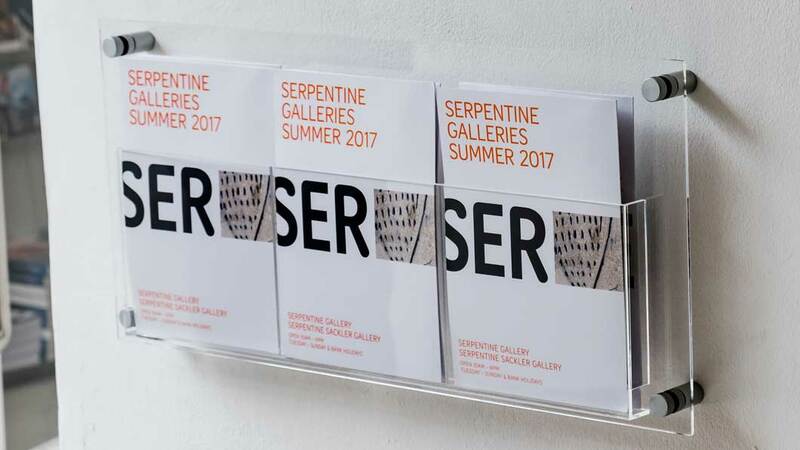 How quickly can I get hold of a Leaflet Display? Q. I’m a specifier, do you offer trade prices? We don’t offer trade prices on this range of products. Q. 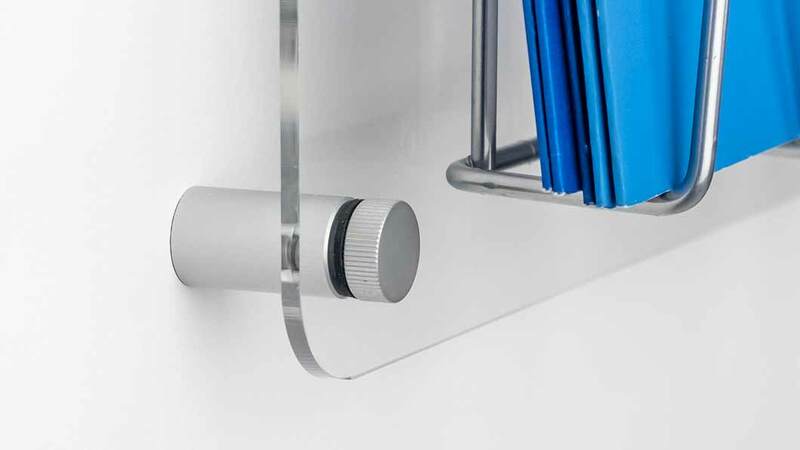 Can you remove scratches from wall mounted leaflet holders?? Use a soft cloth or rag and rub Brasso in a circular motion along the scratch. Leave to dry and polish. Repeat if necessary. We’ve had success using this method to remove scratches. The acrylic won’t be as clear as it was at first, but the scratch should disappear unless its really deep. Q. 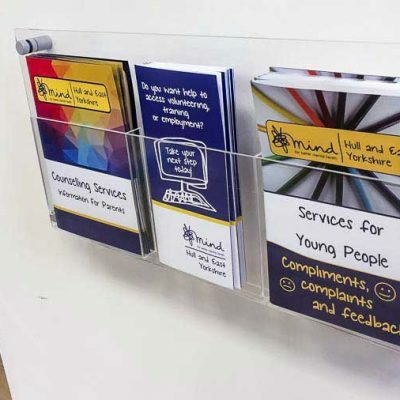 Can the leaflet holders be used in conjunction with your poster holders? Yes in certain combinations. 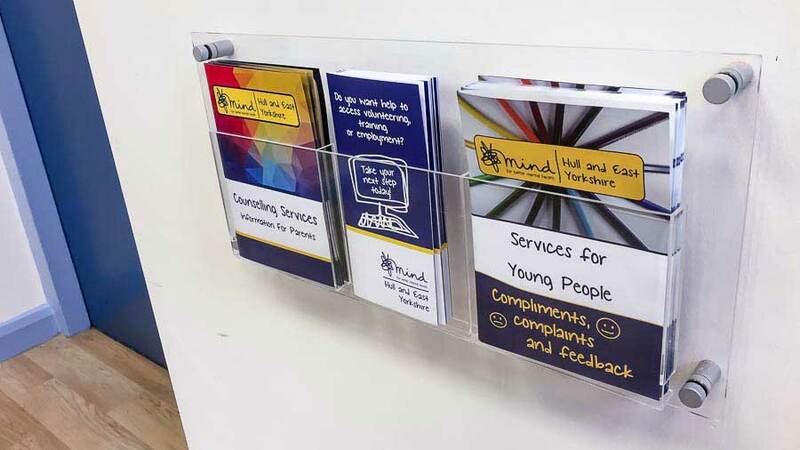 The poster and leaflet holders were developed as part of our modular D3 Display system. The most popular poster holder size is A3. 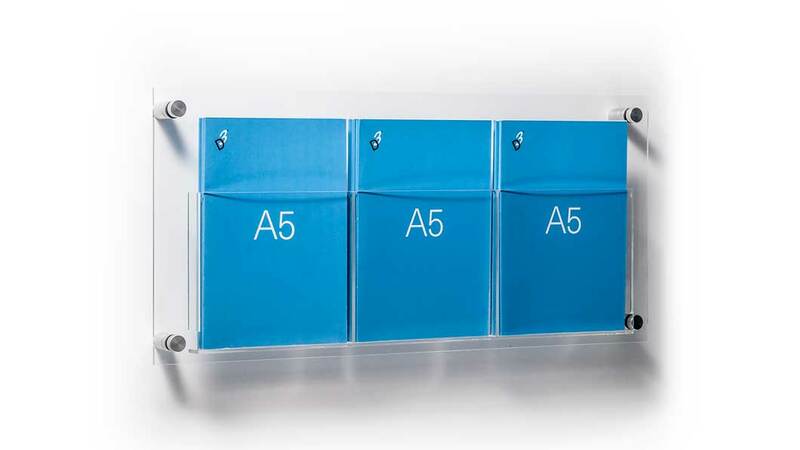 In landscape format this can be combined with the A4 Double, A5 Triple and DL Quad brochure holders. In portrait format this can be combined with the A4 Single, A5 Double and DL Double brochure holders. Call us and we can tell you if the combination you want is possible, and create a visual for you.